"How to Create Your Own Digital Information Products as Fast as 24 Hours!" "At Last, You Can Get Your Own Digital Assets That Make You Money Online on Autopilot for the Rest of Your Life on Autopilot!" If you want to create your own digital information products as fast as 24 hours, then Get "Product Creation 101" now! How to Create Your Own eBook as fast as 24 hours! How to Create Your Own Audio Coures as fast as 24 hours! How to Create Your Own Video Course as Fast as 24 hours! Discover the FASTEST & SIMPLEST way to Create Your OWN Digital Products That Can Generate Income for You on Autopilot! Turn Your Knowledge, Expertise, Passion, or Curiosity into a Digital Information Products That Makes You Money Online! 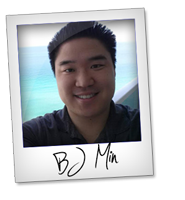 Discover Information Product Creation Secrets from BJ Min who earned Over a Million Dollars in Sales with Digital Information Marketing! Create Your OWN Digital Products as Fast as 24 Hours to Brand Yourself as an Expert in Your Field! Turn Anything That You Know into an Information Product to Make Money Online! Create Your Own Economy on Your Own! No Inventory Needed Because Your Products Will Be Digital! If you are ready to create your OWN digital information products to make money online, then Click the Link Below to Get "Product Creation 101" Now! Click Link Below to Get "Product Creation 101" to Start Creating Your Digital Information Products as Fast as 24 Hours!